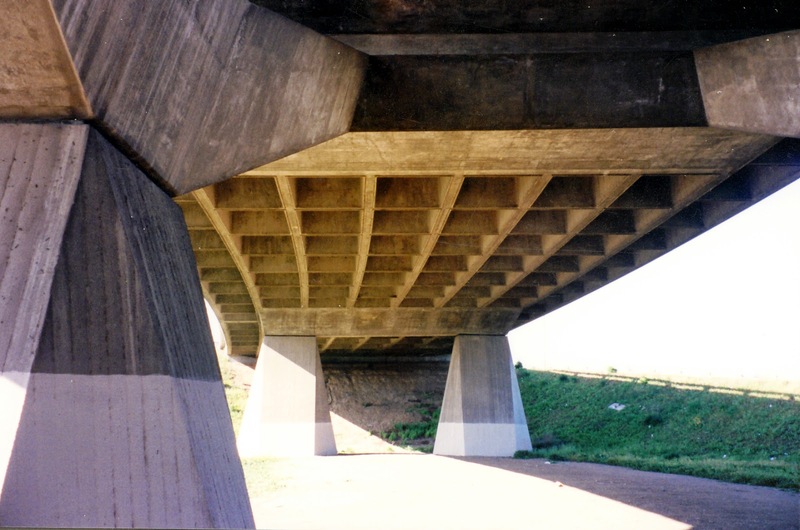 The Hegenberger Road Overhead (33C0202) is a five span continuous prestressed concrete T girder bridge, which was built in 1966. It's owned by Alameda County and it goes over the Bay Area Rapid Transit (BART), the Union Pacific Railroad (UPRR), and San Leandro Road. 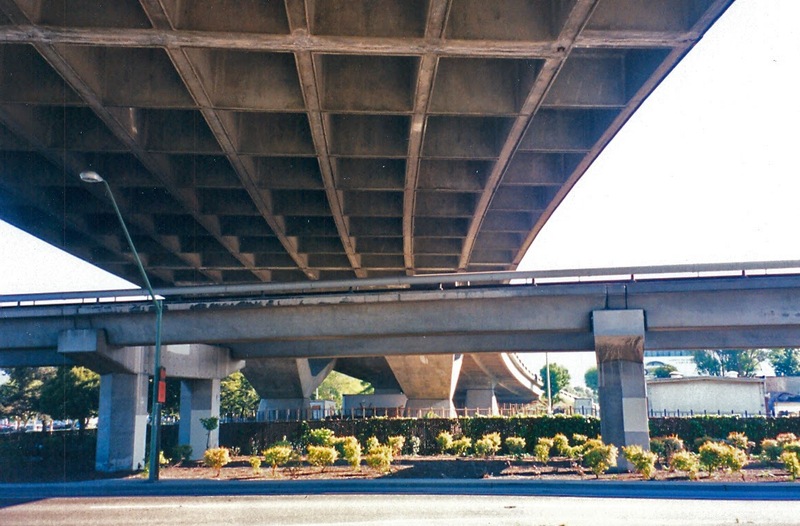 It's 900 ft long with a 290 ft span over BART. 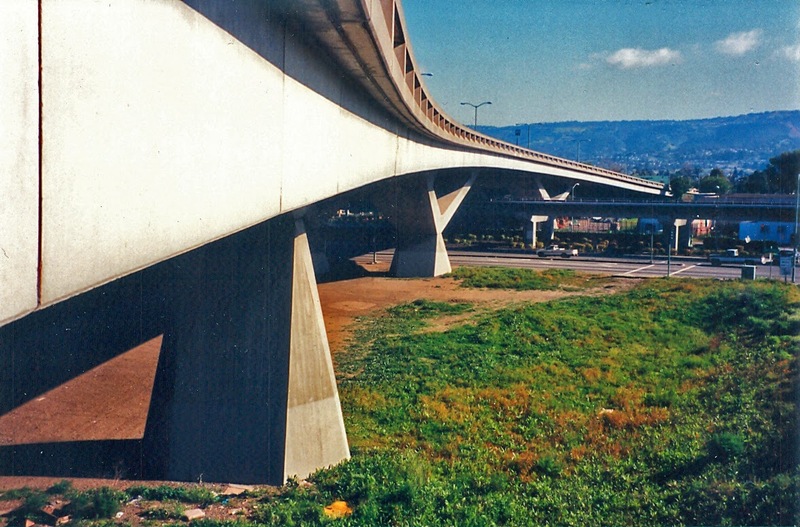 It also crosses over an automated rail system to the Oakland Airport and it's next to Oakland Coliseum, which is where the Oakland Athletics play baseball. I really liked this bridge. I was impressed by how the contractor achieved such a nice striated texture on the concrete and how the different concrete faces catch the light. 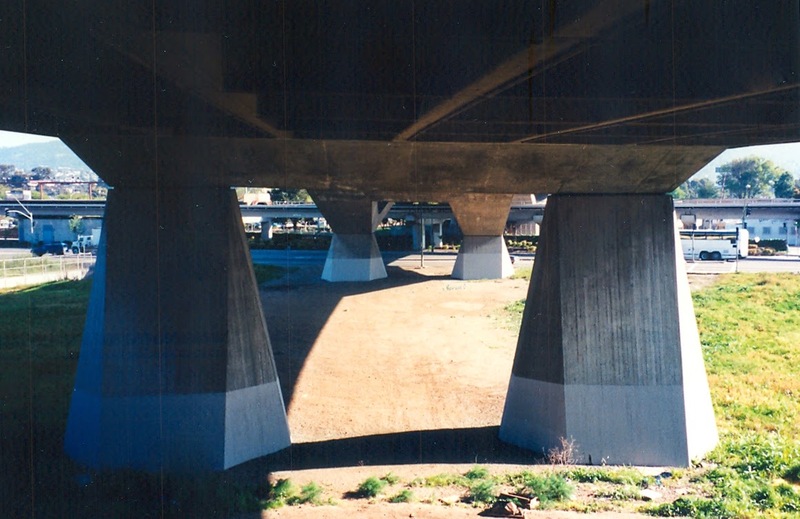 The shapes of the columns are unusual and make the bridge interesting. An unusual pinned connection was created between the top of the squat columns and the different bent caps. I took today's photos many years ago with a film camera. When I returned to this bridge last week (for the current series of blogs on the bridges of Alameda County) I was disappointed to find the bridge was undergoing refurbishment (see yesterday's blog). After looking on the Internet, I discovereded that the bridge is currently being seismically retrofit. 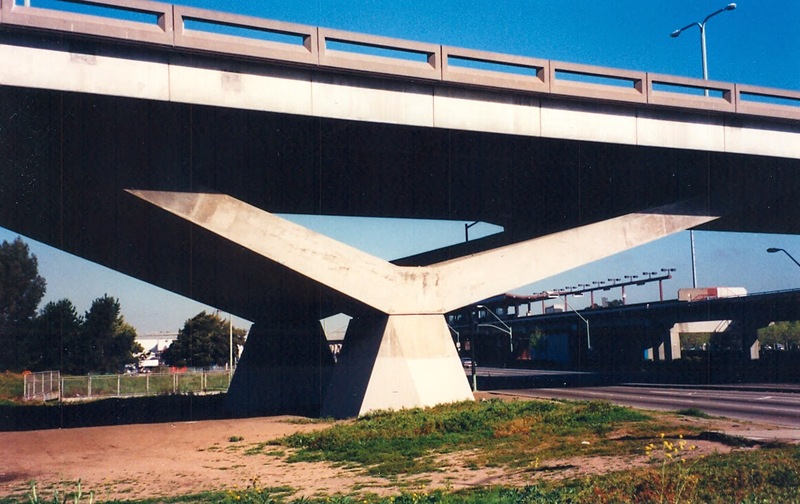 However, it's unfortunate that the designer couldn't find a way to improve the seismic performance without ruining the appearance of this handsome bridge.